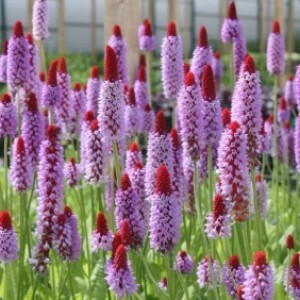 Primula is carried to perennial grassy plants, that is, to the plants blossoming only once. The name of a plant comes from Greek "primus" that means "early". And it is valid, blossoming at a primula begins very early. This perennial placed in the same row with the most beautiful and popular ornamental plants. Small yellow flowers of a primula blossom one of the first in spring gardens. Primulas are called quite often as keys as young leaves have the wavy and slightly trimmed edges, and flowers are collected in inflorescences, in the form very reminding bunches of keys.